Once upon a time, Ocean Park ruled the Hong Kong amusement park landscape alone. When it opened in 1977, it was the city’s grand darling of theme parks with its quirky array of marine life, thrilling spills and, yes, a cable car. But then one day in 2005, along came another theme park player, busting out Ocean Park from its near 30-year comfort zone. 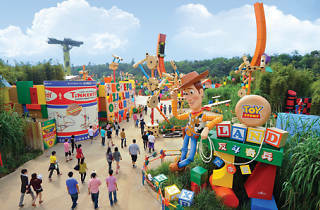 Hong Kong Disneyland had arrived – and the battle for business began in earnest. Over the course of their short joint history, the competition between Disneyland and Ocean Park has, on the surface, increased exponentially. 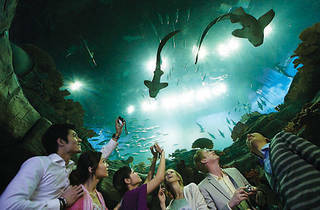 Just months after the arrival of Disneyland, Ocean Park launched a six-year Master Redevelopment Plan, which has seen the Wong Chuk Hang park add the Ocean Express funicular railway, open the theme areas Thrill Mountain and The Rainforest, and unveil an epic Frank Gehry-designed aquarium. In turn, Disneyland has swelled with Tomorrowland, the iconic Disney boat ride It’s a Small World and, just late last year, Toy Story Land. The expansions have been regular and significant, each adding fuel to the comparative fire. But, arguably, this rivalry has never been greater than it will be in the coming weeks, when both parks unveil major new attractions. On July 13, Ocean Park launches Polar Adventure, a new Arctic and sub-Antarctic themed area home to penguins, walruses, seals and a rollercoaster. A day later, Disneyland returns fire, launching Grizzly Gulch, a new ‘land’ featuring rides based on the story of the 19th century gold rush, combining its latest coaster with the water-based Geyser Gulch and a themed show. Like a theme park arms race, both Disneyland and Ocean Park are equipping themselves with more high-powered attractions. But when you consider the changing face of Hong Kong and Chinese amusement parks, it’s hardly a surprise. 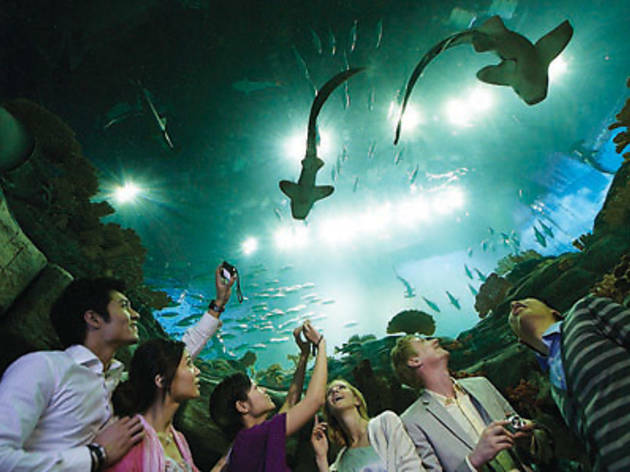 Apart from their own intra-SAR duel, two new players north of the border are soon to join the game – Shanghai Disney in 2015 and a new ocean-themed amusement park juggernaut opening in Zhuhai by the end of next year. It seems the grab for the ever-increasing Mainland tourist pie has never been more competitive. So is there a major rivalry between Ocean Park and Disneyland? “I suppose it occurs in a healthy manner,” says Poly U School of Hotel and Tourism Management Professor John Ap. “It’s not as though they’re competing for exactly the same market. There are going to be differences.” Ap highlights the fact that Disneyland offers a ‘magical experience’, based on a strong tradition of storytelling, whereas Ocean Park is more about ‘offering an educational, nature-based experience’. Indeed, the laws of theme park economics are also rather unique. 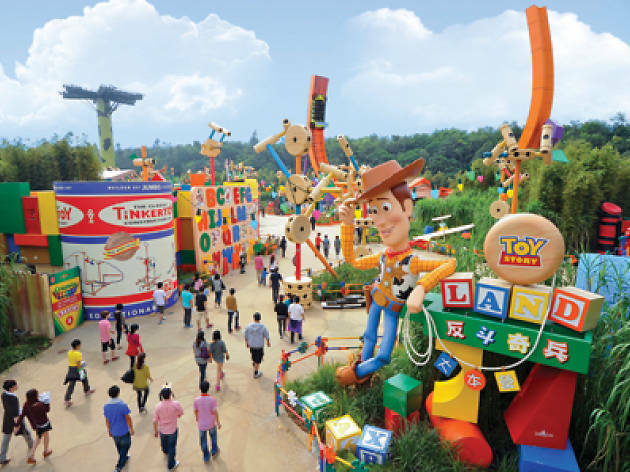 The fact that both parks are growing rapidly and, to a certain extent, competing with each other, just means that the quality of the theme park experience is improving for those who visit them. 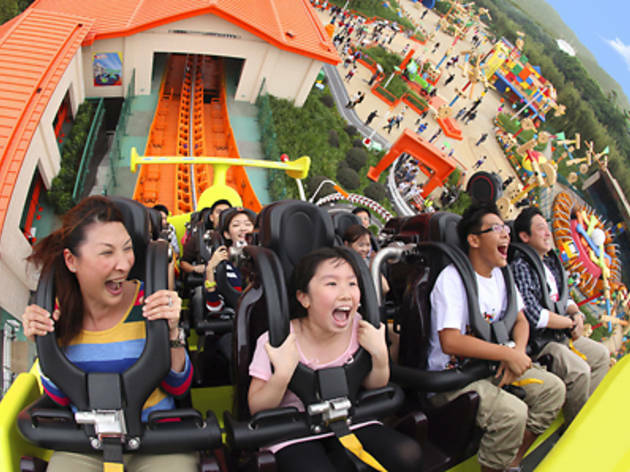 It also means the magnetism of Hong Kong as a theme park destination city becomes stronger. 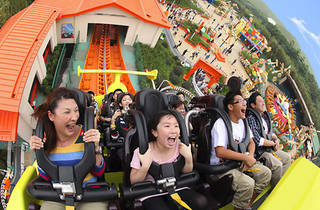 “When we see these situations with multiple parks in a market, there’s a little bit of competitive cannibalisation but what also happens is that the total pie gets bigger,” says Chris Yoshii, global director of Asia for AECOM, which publishes the most authoritative worldwide amusement park rankings. Yes, plenty seems to be going right for both parks at the moment, basking in the success of their recent improvements and watching their revenues and visitor numbers go up. But it’s by no means been smooth-sailing up to this point. Disneyland, in particular, has had its fair share of problems since opening in 2005. During the first year of operation, it failed to achieve its visitor goals, falling about 600,000 short of the targeted 5.6 million visitors. Then, in the following year, visitation dropped to a disappointing four million. From the outset, Disneyland Hong Kong has lost money every single year, still losing HK$237 million last year despite record-breaking revenue of HK$3.6 billion (a vast improvement, at least, on the previous year’s loss of HK$718m). 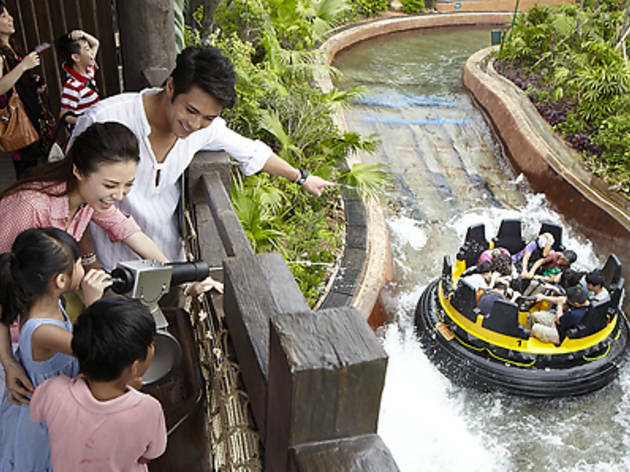 Given the changing theme park environment, neither Ocean Park nor Disneyland are resting on their laurels. In addition to Grizzly Gulch, Disneyland has the supernaturally-themed Mystic Point on the agenda for next year, with more unconfirmed plans on the horizon. Yoshii suggests this may even involve a whole new park incarnation. “They have a location for a second theme park already designated,” says Yoshii, adding that a whole raft of restaurants, retail outlets and new hotels may also be in the works. Ocean Park’s got plenty more in store too after their Master Redevelopment Plan comes to a close. In short, there are plans for two hotels to be opened in late 2015 and mid-2016, a koala exhibit (who doesn’t love koalas?) and an entirely new water fun park on the site of the old main entrance. There’s also the small matter of an MTR station pegged to open in mid-to-late 2015, which can only help the cause. Indeed, it’s no longer a small theme park world. And we do hope it hasn’t become a riskier one after five people were injured when Ocean Park’s tethered helium balloon ride SkyStar fell to the ground as we were going to print. But, that aside, you could watch idly as the coasters zoom by. Or, better yet, climb aboard and enjoy the ride.